You remember the story about Billy Joe Johnson, star running back for George County High, Mississippi, who died on a December morning in deep Mississippi alleged by a "self-inflicted" gunshot wound during a traffic stop. As reported by NCAA Foot Ball Fan House Billey Joe Johnson was considered one of the top high school football recruits in Mississippi, as well as the country, until his shocking death early Monday morning. Many in the black community suspect foul play. Billey Joe Johnson Sr. has a difficult time accepting the police department’s explanation of his son’s death. “They must have tortured my baby,” he says. As reported by yahoo sports local authorities stopped Billey Joe for a traffic iolation on the morning of Dec. 8, and they say the truck is simply the site of a terrible tragedy. But to the elder Johnson, it’s a crime scene. Nearly two months later, only one fact is certain: Instead of running out of George County as a football hero, Billey Joe was buried beneath it at the age of 17. The George County Sheriff’s Department claims that on that fateful morning, Billey Joe attempted to break into the home of an on-again, off-again girlfriend in the nearby city of Lucedale. According to the sheriff’s department, he left the scene and ran a red light at 5:34 a.m. After a 1½-mile pursuit, Billey Joe got out of his truck, met sheriff’s deputy Joe Sullivan and handed over his license. 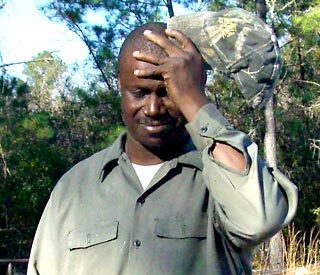 Then Billey Joe returned to his truck, put a 12-gauge shotgun he used to target deer to his head and committed suicide. It was 5:40 a.m.
Sullivan’s patrol car was not equipped with a camera, and his is the only account of the event. Billey Joe’s friends and family don’t believe the story. Billey Joe was black. Sullivan is white. The case, as such, is shrouded by race in this small community in the Deep South. Everyone wants answers. No one is getting them. The Mississippi Bureau of Investigation and the local district attorney – the two bodies in charge of the case – have issued neither a ruling nor many pertinent details. Tony Lawrence, the district attorney running the state’s investigation, met with the family Dec. 19 and urged patience. “I have said from the beginning that this investigation will be exhaustive and not based on any timeline other than that which leads to the truth,” Lawrence said at the time. His office declined further comment this week. With no answers and a state investigation that is dragging on, the region has descended into a cauldron of speculation, suspicion and conspiracy. Theories are easy to find, the truth all but impossible. Johnson fixates on the truck that is stained with what is left of his son. The day after the incident, police returned it to the family as is. Rather than wash it, junk it or sell it, Johnson keeps it in a garage, driving it out to re-examine. He stares at it. He imagines his son. He’s convinced someone forced Billey Joe on his knees, shoved the shotgun barrel in his mouth and pulled the trigger. “They must’ve tortured my baby,” Johnson says. Here is what the police say about Billey Joe’s death: During a routine traffic stop, Billey Joe Johnson Jr. shot himself in the head. He woke at 4:30 a.m. that day, a school day, at his parents’ trailer and took a shower. His dad thought he was going hunting. Instead, he drove 15 miles to Lucedale, the 2,700-person county seat and location of both his high school and a girlfriend. Billey Joe’s truck had notes from multiple female admirers, and his friends said he enjoyed the attention offered to a star athlete. He’d already run for 4,000 yards in his high school career and helped make George County a state powerhouse. Everyone knew him. Many wanted to be with him. One girl, whom Yahoo! Sports will not name since she is a minor, had been around the longest. It was a typical high school relationship – “they’d break up every day and then get back together,” said one of his friends, Drew Bradley. The fact that she was white bothered some people. 4:30 a.m. – Billey Joe Johnson Sr. hears his son showering and preparing to leave the family’s Benndale, Miss. residence. He believes his son plans to go hunting before heading to school. 5:34 a.m. – George County Sheriff’s Deputy Joe Sullivan witnesses Billey Joe Johnson’s maroon Chevy Silverado run a red light at the corner of Church Street and Winter Street. He pursues the truck with his blue lights flashing and witnesses the truck running a stop sign at the 4-way stop of Winter Street and Old Highway 63. 5:37 a.m. – The Lucedale Police Department receives a 911 call from Esther Parker, who says her daughter called her and informed her that someone was attempting to break into a trailer where her daughter and ex-husband were living. Parker informs the LPD that her daughter is home alone. 5:39 a.m. – After a pursuit of nearly 1½ miles, Sheriff’s Deputy Sullivan witnesses the truck pulling into a service entrance near Benndale Carpet. Billey Joe Johnson exits the truck and informs Deputy Sullivan that he was on the way home “because his mother was sick”. Deputy Sullivan takes his license and instructs Johnson to return to his vehicle. 5:40 a.m. – While attempting to call in the license number, Deputy Sullivan informs dispatch that Johnson has shot himself and requests assistance. 5:40 a.m. – LPD Sgt. James O’Neal arrives at the trailer and secures the perimeter. He makes contact with Parker’s daughter, who informs him that the person who attempted to enter the residence was Billey Joe Johnson Jr. She says Johnson left before police arrived, but that she would like to go to the police station and “sign charges” against him. 5:48 a.m. – LPD Sgt. O’Neal departs for the police department, following Parker and her daughter in a separate vehicle. While in transit, he is informed by dispatch that Johnson had shot himself at service road near Benndale Carpet. 5:50 a.m. – LPD Sgt. O’Neal arrives at Benndale Carpet, where he observes the vehicle of deputy Sullivan as well as Johnson’s maroon Silverado, which is parked with the door open. As he pulls forward to make room for the pending arrival of an ambulance, O’Neal observes Johnson lying on his back on the ground, with his head pointed away from the open door of vehicle. Sgt. O’Neal observes a shotgun on top of Johnson’s body, and blood on the ground around his head. 5:55 a.m. – Paramedics arrive on scene. Dispatch is informed that Johnson is DOA. UPDATE: Get this, A grand jury has ruled that his death was accidental. Many in the black community, including this AAPP still suspect foul play. What do you think? $787 billion plan, no Republicans vote "yes"
The NAACP 100 Years... What NEXT? 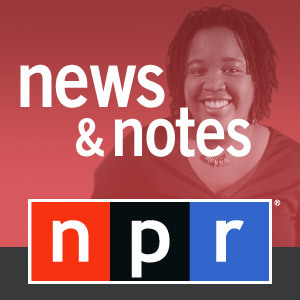 Black Press, Window Dressing for President Obama?